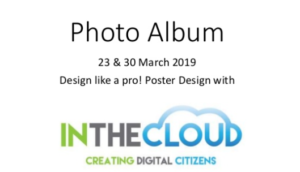 On 23 and 30 March 2019 In the Cloud had the opportunity to train 6 librarians on how to design their own posters. One thing is certain – librarians are multi-talented, and this showed during the training! Well done to the following for successfully completing this hands-on, contextualised course. We are incredibly proud of your confidence, and growth in advancing your skills. 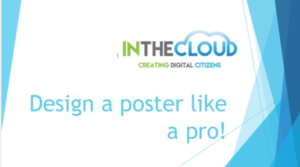 The participants were all in agreement that they will now be able to design their own professional posters with great confidence, at the same time thinking out of the box to make their libraries even more relevant through using different platforms to communicate very important messages to their users, and also prospective users. Click on the image below to view the photos from the workshop. Click on the image below to view the presentation from the workshop.